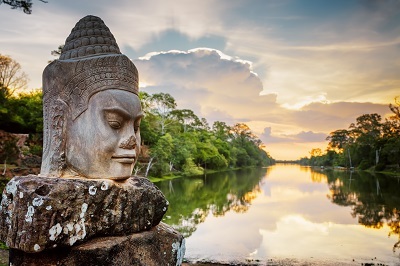 Combining Cambodia with Vietnam is becoming increasingly popular and this holiday is designed for those who want to mix established highlights with a taste of adventure, to create one of most variety packed holidays you’ll find. 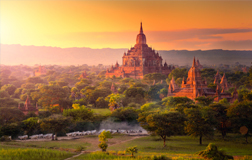 The Angkor Temples, Phnom Penh and Saigon act as bookends to contain an overland adventure that follows the Mekong into remote countryside to walk with elephants, hike through forests, swim in water holes and search for the rare Irrawaddy dolphins. All topped or tailed with a few days on the beach. Day 2: On arrival private transfer to your choice of hotel for 3 nights in Siem Reap. 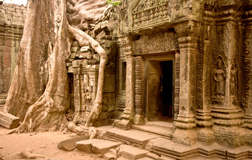 Day 3: Full day private guided tour of Angkor Archaeological Park with lunch. Day 4: Morning tour to stilted villages on Tonle Sap Lake. Day 5: Fly to Phnom Penh for 2 nights. 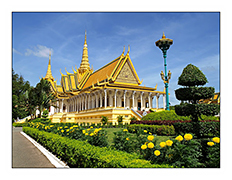 Day 6: Full day private guided Phnom Penh City Tour with Killing Fields. 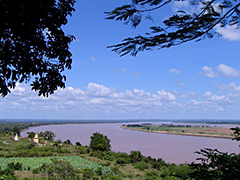 Day 7: Follow the Mekong River up to Kratie for 2 nights on river island. 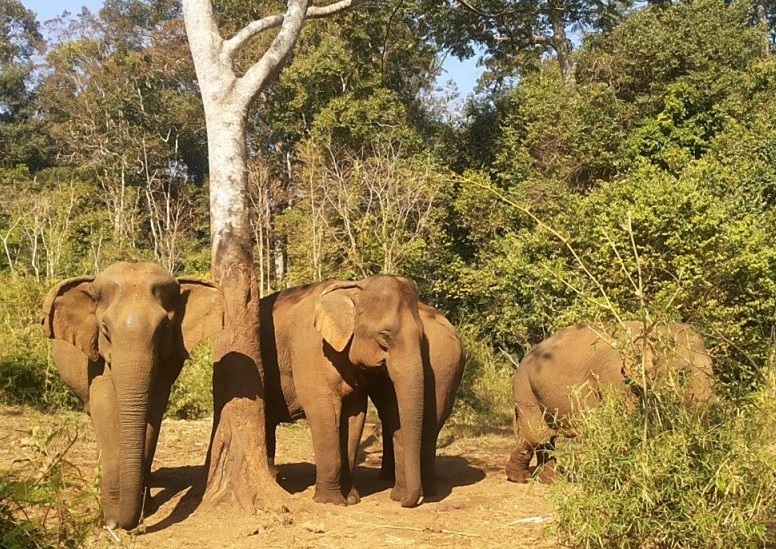 Day 10: Enjoy a fantastic day trekking with your elephant (1 between 2) and mahout. Day 11: Time to head to the border. Cross over into Vietnam for 2 nights in Saigon. Day 12: Morning tour to the Cu Chi Tunnels (Vietnam War) and afternoon Saigon city tour. Day 13: Full day tour to the Mekong Delta with boat ride. Overnight Mekong Delta. 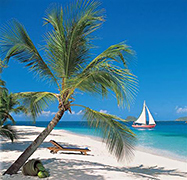 Day 14: Short flight from Saigon to the beautiful island of Phu Quoc for 3 nights on the beach. Day 17: Final morning by the beach before flying home via Saigon. 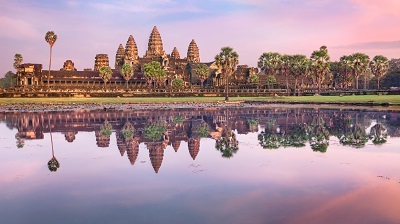 Depart on a choice of overnight flights to Siem Reap. 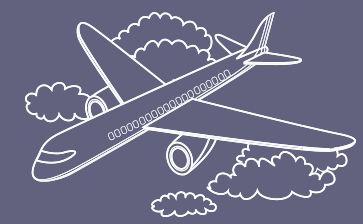 As there are no direct flights to Cambodia this is a chance to add on an extra destination such as Bangkok, Hong Kong or Kuala Lumpur or just book a through flight. 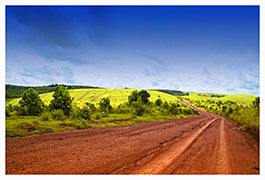 On arrival you will be met by your private guide and transferred to your hotel. 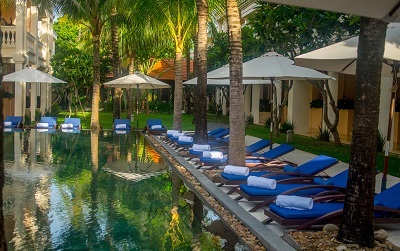 Depending on your time of arrival you may want to just relax by pool and recover from your journey or perhaps make your first foray into the Angkor Archaeological Park with your private guide. This morning at 07:00am the tour drives east following the Mekong to Kratie approximately 5 hours/300km, offering a great chance to enjoy the rural heart of this beautiful country. Lunch will be in a local restaurant. 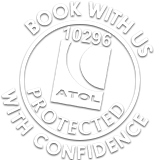 On arrival in Kratie you transfer by local boat across the Mekong to Koh Trong Island and 2 nights at the Rajabori Villas (Standard double room with fan). The rest of the day’s free to relax by the pool or explore your immediate environs. 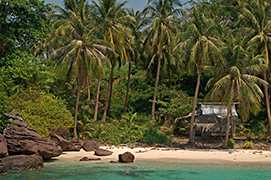 Koh Trong is a completely unspoilt rural working island with no cars and is a world away from UK life. After dinner if it’s a clear night take a short walk and enjoy the star studded sky. This morning your guide will take you for a gentle cycle ride around the island. Shaded by the trees you have the Mekong on one side and villages on the other as you follow the flat sandy paths that skirt the island and offer access to the people, farms and orchards that make this rural idyll their home. Your guide will explain what life’s like here, but be prepared to shout a welcome to every child you see! 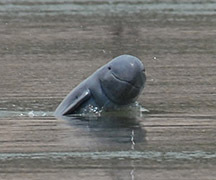 The Mekong around Kratie is one of the best places to see the rare freshwater Irrawaddy dolphins and so after a relaxing lunch the tour heads further up the Mekong River to search for these beautiful mammals aboard a local boat for about one hour. After the tour head back to Koh Trong for a final night. 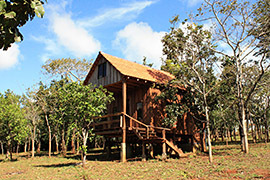 After breakfast you head deeper into Mondulkiri Province for approximately 3.5 hours/195km where you check into the Nature Eco Lodge for 2 nights. 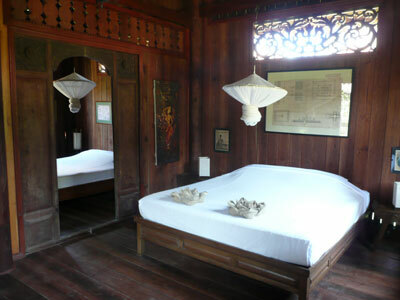 Your room will be a cosy wooden bungalow with a hot shower and private veranda. This afternoon take your time exploring your immediate environment and take a choice of trails around the lodge. This evening enjoy dinner in the lodge’s restaurant. If the weather’s good you can relax around the outdoor fire, meet fellow travellers and do a spot of star gazing. This morning your guide will collect you for a day at the Elephant Valley Project. During the day you will shadow two families of elephants in the jungle, learning about the elephants, the local mahouts and the forest. 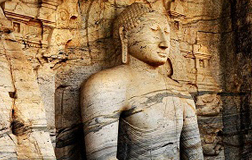 This is a unique experience and the first of its kind in Cambodia. Hike out to the forest to meet the elephants and walk beside them in their natural forest habitat. You can watch them interact with each other in their bonded family groups, where they are relearning and showing real elephant behaviour again. Meanwhile you will learn about the elephant’s individual history and ongoing stories and also importantly learn about the unique role the local villagers in protecting these incredible animals. One of the main highlights of the day is to observe the elephants washing in the river, playing in the mud and dusting themselves in their daily beauty routines! Time to leave the Mondulkiri and head north through rural Cambodia to the Vietnam Border that is about 3.5 hours away. Almost as soon as you cross the border you’ll see the stark contrast between the relative wealth and development of Cambodia compared to Vietnam. 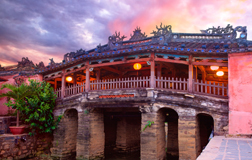 Modern life quickly becomes the norm and you’ll reach the outskirts of Saigon with 2.5 hours. 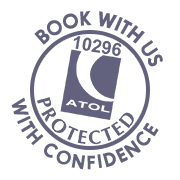 On arrival check-in to your choice of Saigon hotel for 2 nights. Evening free to get your first taste of this vibrant city. 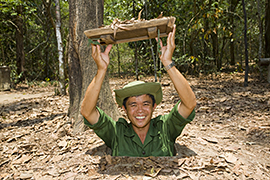 This morning your private guide will collect for a tour to the Cu Chi Tunnels , remnants of the Vietnam War that offer an evocative insight into the horrors that were faced by those involved. During the guided tour it’s possible to descend into the layers of tunnels that although widened still create a feeling of creeping claustrophobia. Few other places can encapsulate the sheer will-power that the American military was up against, and the lengths that the Viet Cong were prepared to go to in order to evict them. Back to the city for this afternoon’s private guided tour of vibrant, cosmopolitan Saigon. Highlights include the Reunification Palace, War Remnants Museum, History Museum, Jade Emperor Pagoda and Notre Dame Cathedral. Back at the hotel by 5pm. This morning you’ll be picked up by your private guide for the drive south to the Mekong Delta. Stop en route to visit the Cai Be floating market and some of the varied traditional cottage industries that dot this region. Then board a boat to explore some of the small canals that spider web the delta and enjoy a delicious lunch in an orchard restaurant. After lunch drive onto Can Tho and check-in to the Victoria Can Tho hotel for 1 night, a beautiful colonial hotel on the banks of the river. Relax by the pool as river life passes you by and enjoy dinner in the garden serenaded by river frogs. 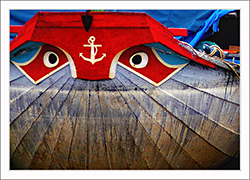 Up early this morning to board a boat with your guide to visit the famous Cai Rang floating market, a shop floor for hundreds of small boats loaded down with local produce, darting around until everything is sold. Start the day with a local coffee or perhaps a piece of fresh pineapple. Back to the hotel for breakfast and then the short flight over to Phu Quoc Island. 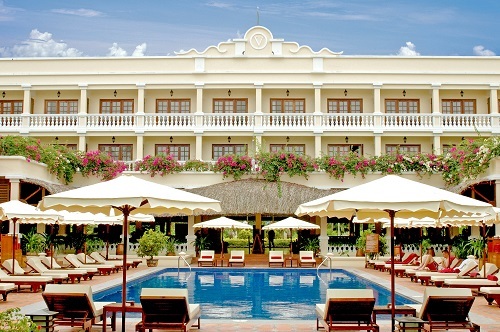 On arrival you will be met and transferred to your beach side hotel for 3 nights or more. Morning free then airport transfer and fly home via Saigon. A sleepy town on the Mekong River. Ideal for those touring from Cambodia to Vietnam. 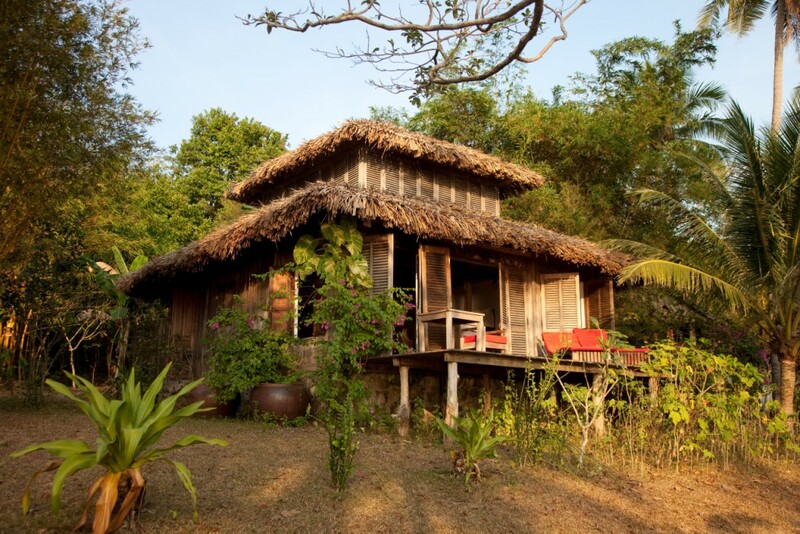 Superb access to miles of wilderness in North East Cambodia. 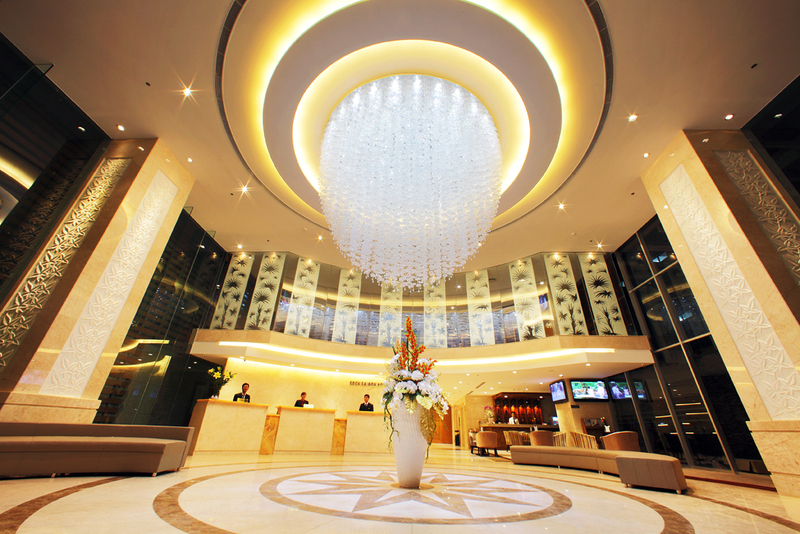 The bustling but elegant city of Saigon understandably provides a wealth of hotel choice. 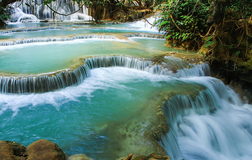 The green lungs of Vietnam, enter a world of peace and calm.